Amazon.com Inc. is experimenting with a new delivery service intended to make more products available for free two-day delivery and relieve overcrowding in its warehouses, according to two people familiar with the plan, which will push the online retailer deeper into functions handled by longtime partners UPS Inc. and FedEx Corp.
UPS ranks No. 1 and FedEx No. 2 on the Transport Topics Top 100 list of the largest North American For-hire carriers. Amazon will oversee pickup of packages from warehouses of third-party merchants selling goods on Amazon.com and their delivery to customers’ homes, the people said — work that is now often handled by UPS and FedEx. Amazon could still use these couriers for delivery, but the company will decide how a package is sent instead of leaving it up to the seller. Handling more deliveries itself would give Amazon greater flexibility and control over the last mile to shoppers’ doorsteps, let it save money through volume discounts, and help avoid congestion in its own warehouses by keeping merchandise in the outside sellers’ own facilities. FedEx shares fell 2.4% to $216 in early trading Oct. 5, while UPS dropped 2.2% to $116.4. FedEx didn’t immediately comment, and UPS didn’t immediately return calls and an email seeking comment. Last year, Amazon introduced Seller Fulfilled Prime, which lets merchants who don’t stow items in Amazon warehouses still have their products listed with the Prime badge, meaning they’ll be delivered within two days. The merchants had to demonstrate they could meet Amazon’s delivery pledge, and many used UPS and FedEx for deliveries. The new service gives Amazon control over those deliveries instead, even if it continues to use third-party couriers. Amazon has started looking beyond its own warehouse network to give shoppers quick access to an abundant assortment of goods. Its Fulfillment by Amazon offering already lets merchants ship goods to Amazon warehouses around the U.S., where they can be stored, packed and shipped to customers. That centralized approach can create logjams, particularly during the busy holiday shopping season. Seller Flex would also give Seattle-based Amazon more visibility into the warehousing and delivery operations of its merchant partners, potentially helping it make full use of their product inventory, storage space and proximity to customers while still guaranteeing quick delivery. 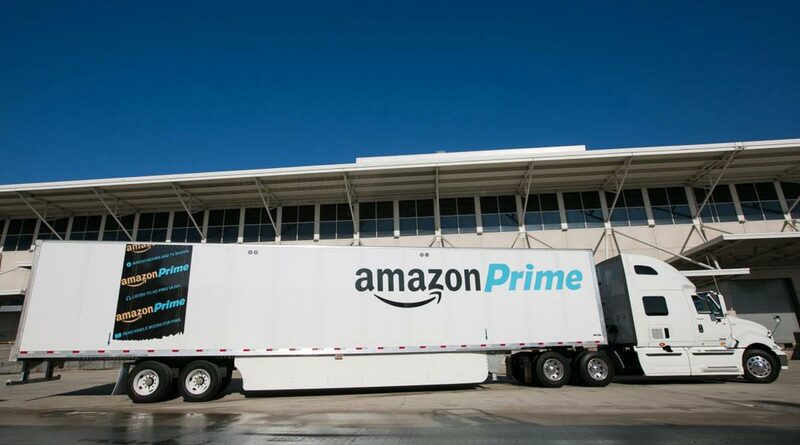 The project underscores Amazon’s ambitions to expand its logistics operations and wean itself off the delivery networks of UPS and FedEx. A rush of last-minute holiday orders in 2013 forced Amazon to issue refunds to shoppers who didn’t get gifts in time, highlighting the perils of being overly dependent on partners for a main part of its business pledge — quick, reliable delivery. Taking over some responsibility for delivery enables Amazon to protect that edge as rivals like Wal-Mart Stores Inc. enhance their own delivery operations. Amazon is constantly experimenting to shorten delivery times and reduce costs. It built a network of “sortation centers” around the country, where packages are sorted by zip code and trucked to post offices, with the U.S. Postal Service handling the final mile of delivery since it already has workers bringing mail to every home in the country. It launched Amazon Flex, which uses independent contractors driving their own vehicles to deliver packages from Amazon shipping hubs, guided by a smartphone app. Prime Now offers a limited assortment of products, such as phone chargers and bottled water, in as little as an hour to shoppers in many cities. Many online merchants who sell on Amazon’s marketplace pay fees to store products in the retail giant’s warehouses, letting Amazon gather and pack products when orders arrive. But the popularity of this service strains Amazon’s capacity during the end-of-year holidays. Online holiday spending in the U.S. will hit $129 billion this year, up 12% from a year ago, according to Forrester Research Inc.